The Earth's magnetic field periodically reverses such that the north magnetic pole becomes the south magnetic pole. The latest reversal is called by geologists the Matuyama-Brunhes boundary (MBB), and occurred approximately 780,000 years ago. The MBB is extremely important for calibrating the ages of rocks and the timing of events that occurred in the geological past; however, the exact age of this event has been imprecise because of uncertainties in the dating methods that have been used. 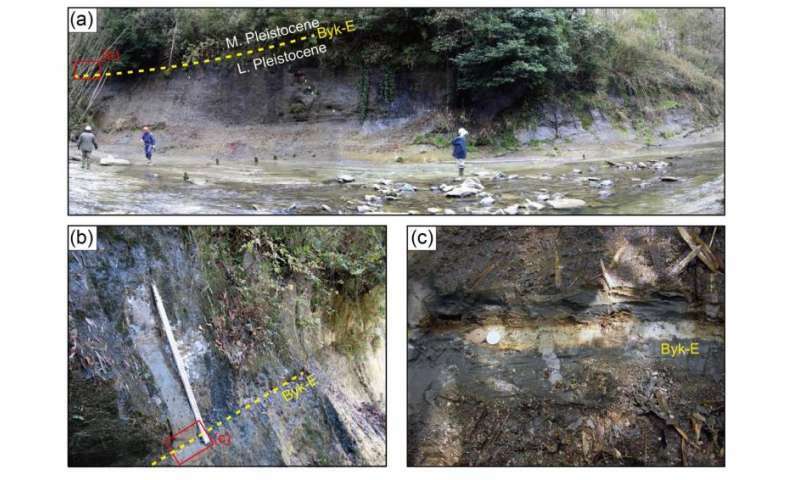 Dr. Yusuke Suganuma of the National Institute of Polar Research, Tokyo, who is the lead author on the paper, commented: "This study is the first direct comparison of radiometric dating, dating of sediments, and the geomagnetic reversal for the Matuyama-Brunhes boundary. Our work contributes calibrating the geological time scale, and will be extremely important in future studies of the events that occurred at this time."